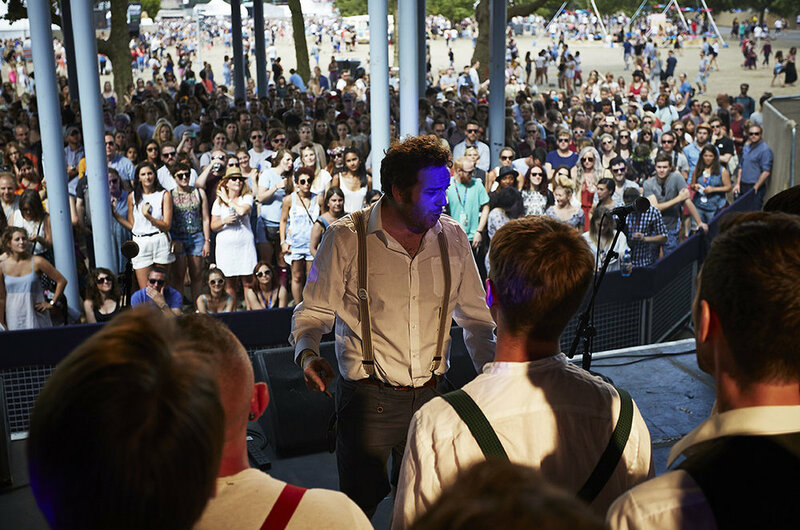 Chaps Choir have been taking their witty, moving and urbane male voice choir experience out of the city and into the UK’s festival fields since 2015. Beyond throwing down a set that’s boisterous and touching by turns, they bring a touch of that much-needed festival magic, with singing workshops & up-close performances that bring festival-goer and performer together at last. On this page: industry reviews, live videos, recordings, testimonials, photos & bio. 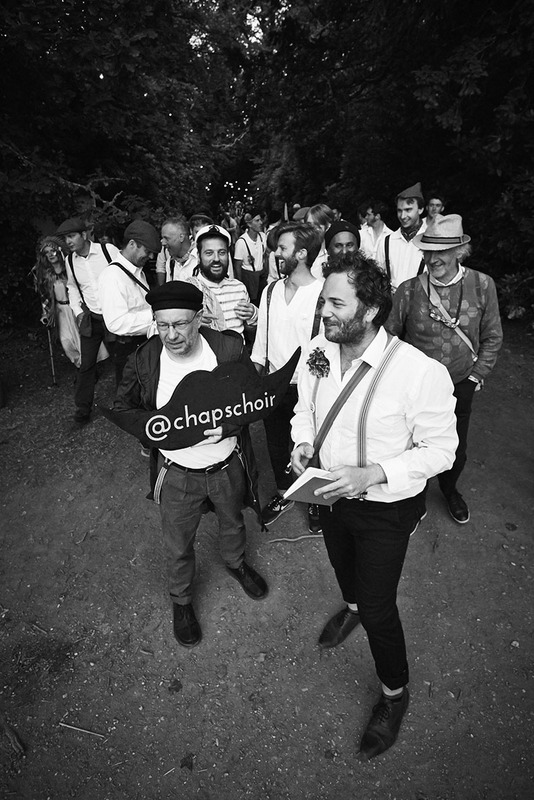 Started in 2013, Chaps Choir is a large bunch of men from London who have been charming and delighting audiences since with their varied repertoire of covers and re-inventions. From Justin Timberlake to icey hunting calls to quirky pop song re-hashes, Chaps Choir have something for all. We’ve performed and run workshops at Port Eliot, Wilderness, Citadel, The Great Escape, Union Chapel, Daylight Music, Royal Festival Hall, The Roundhouse, Brasserie Zedel, Bookslam, Serpentine Gallery, raised money for CALM & The Music Venue’s Trust and collaborated with artists as diverse as neo-soul singer Omar, Shlomo, Joe Stilgoe, Hattie Webb & Samantha Whates.